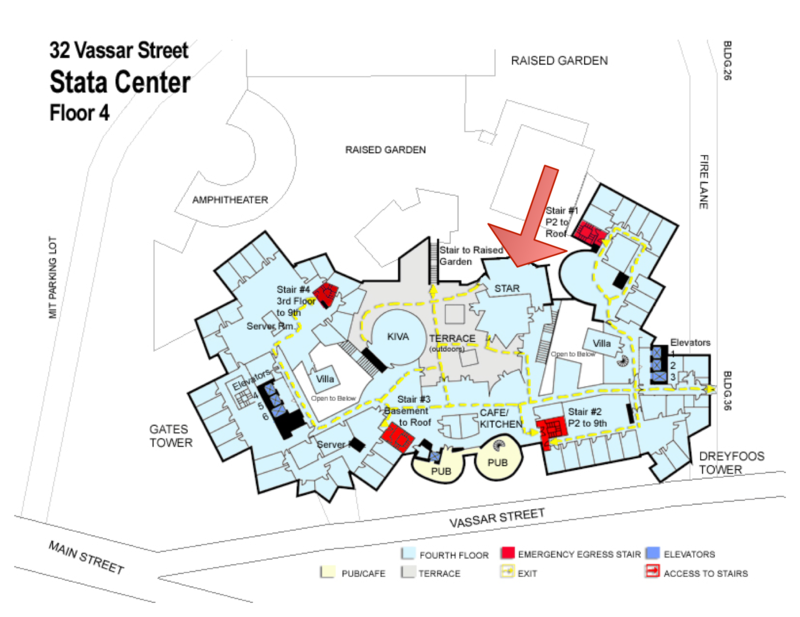 The Stata Center is at the corner of Vassar and Main Streets in Cambridge. The Star conference room is now open, with wifi available. Lunch begins at 11:30. Meeting begins at 12:15. The Star Conference room is on the 4th floor of the Dreyfoos Wing in the Stata Center (Building 32). Enter Building 32 at the front entrance and proceed straight ahead; there will be elevators to the right. Take the elevators to the 4th floor; exit to the left and then turn right at the end of the elevator bank. At the end of the short corridor, turn right, just before the R&D Dining room. The Star Conference Room is straight ahead, just past a set of stairs. Next message: Berin Szoka: "Re: If you are calling in today"
Previous message: Peter Swire: "If you are calling in today"